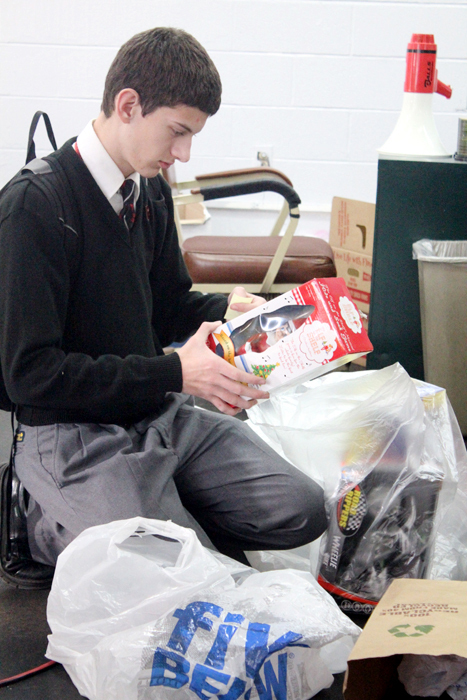 Luke Victor joins the Operation Santa Claus effort at Archbishop Ryan High School. 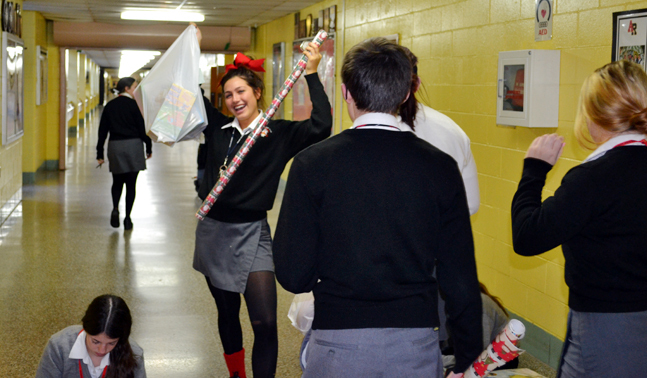 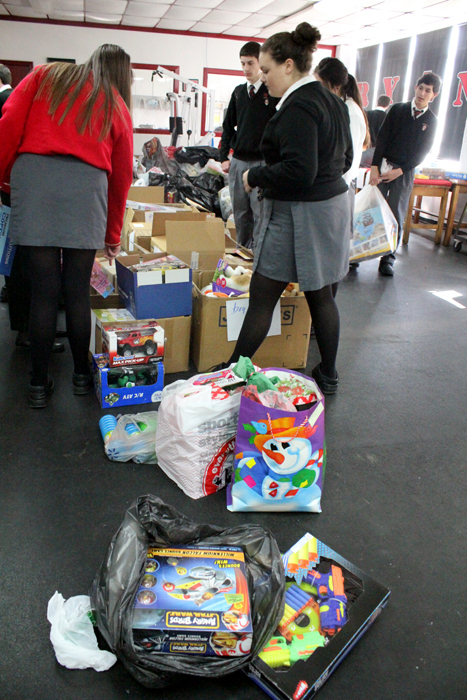 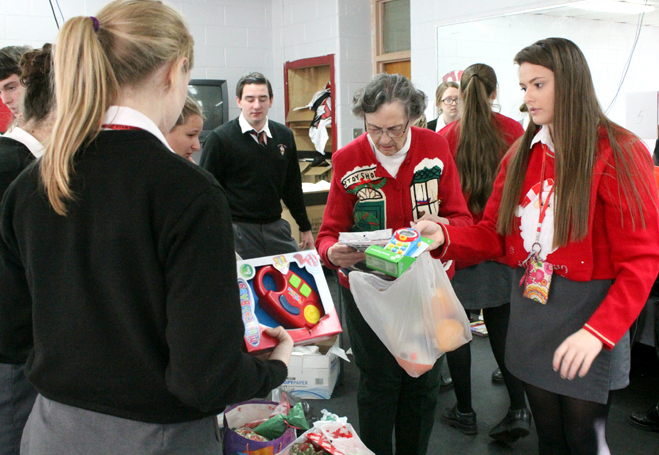 Sister Frances Antoinette, S.S.J., has served as the main organizer of Operation Santa Claus at Ryan. 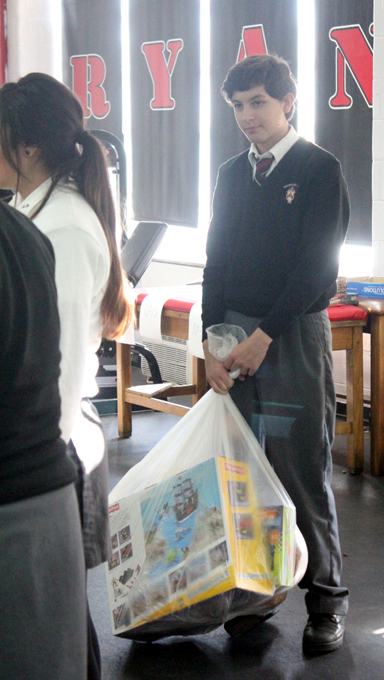 Jack Thackrah selects a toy for a child of a certain age. 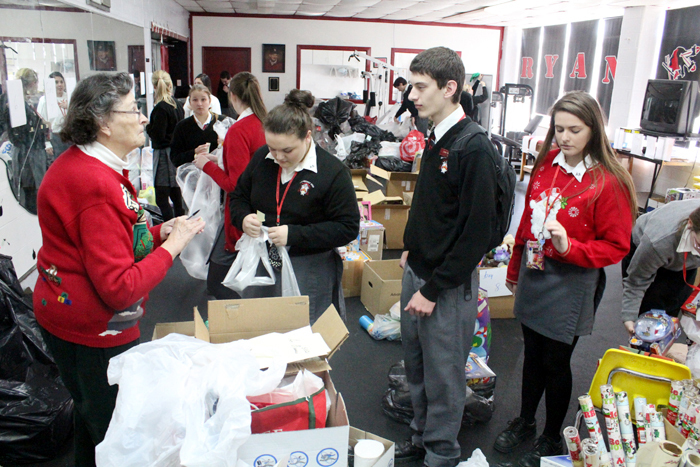 Sister Frances Antoinette instructs the student volunteers at Ryan. 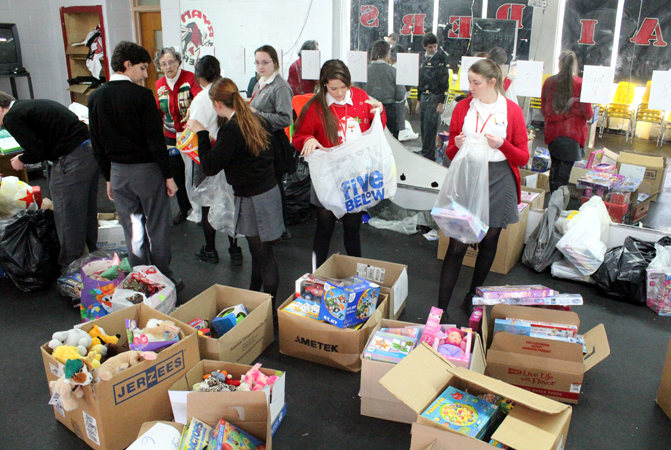 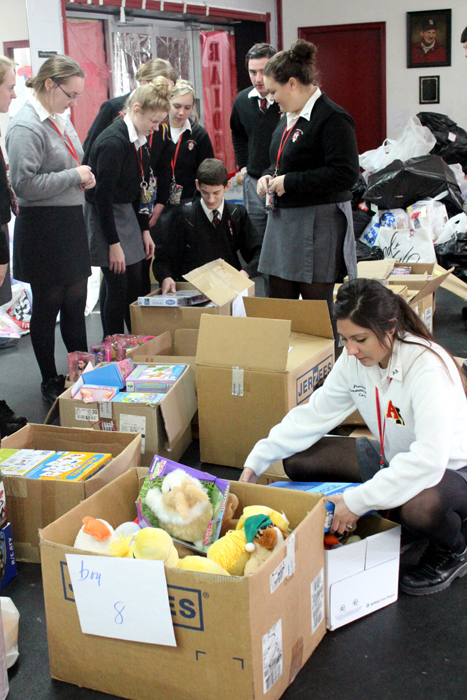 Nicole Belamorich (foreground) and others sort toys. 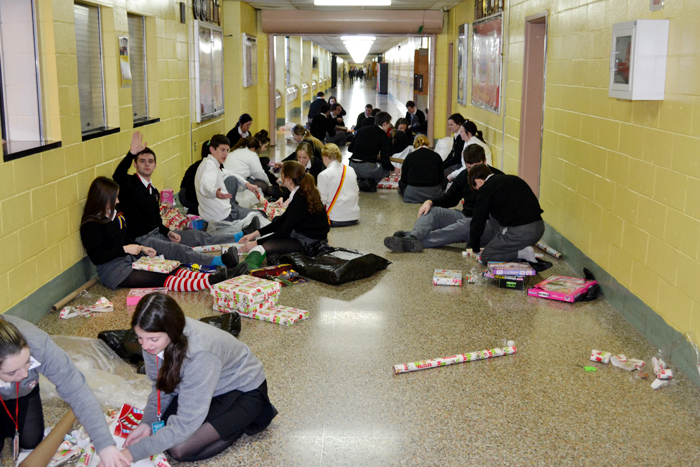 Erin Geiges (left) and Jordan Ditko carefully wrap presents. 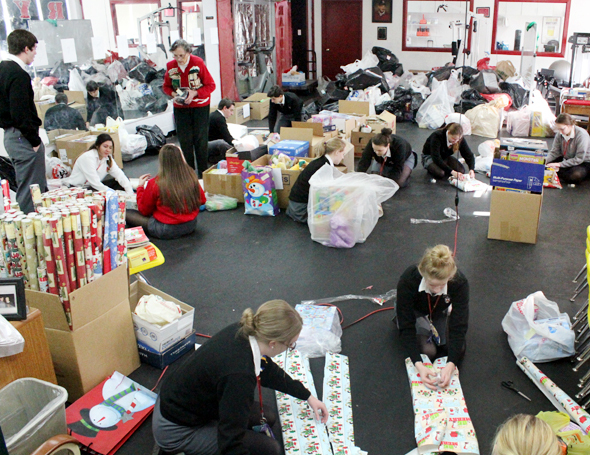 Ryan students have fun while serving the community.